He took his Ph.D. at Princeton University with a dissertation written under Robert M. Scoon (Chair of Princeton’s Philosophy department, 1934-1952) entitled "The Problem of Causation in Plato's Philosophy" (1939; published in part in CPh 1939; vide infra). He taught at the following research institutions: Instr. classics, Princeton, 1936-38; asst. prof., Stanford, 1938-40; instr. Latin, U. of Chicago, 1940-3; asst. prof., 1943-49; prof. classics, chair of department, Washington U., 1949-61; acting dean College of Liberal Arts, 1958; dean, 1959-60; prof. classics Northwestern, 1961-65; vis. prof. classics Cornell, 1958-59; prof., 1965-67; prof. classical studies, U. of Pennsylvania, 1967-78; chair of dept., 1967-73; Guggenheim fellow, 1960-61; NEH fellow 1975-76. He served (1971-75) on the American Council of Learned Societies as a delegate, presumably for the APA. De Lacy was president of CAMWS, 1963-4; of the APA, 1966-67. He edited TAPA from 1949 to 1952; and was acting editor of CJ, 1955-56. De Lacy’s publications included editions and studies of Greek philosophy and medicine. He researched the Hippocratic corpus, Plutarch, and Galen. His studies also investigated Greek and Latin Epicurean philosophy, including Lucretius. He collaborated with the legendarily learned Benedict Einarson, his Chicago friend, to edit, annotate, and translate Plutarch’s Moralia, volumes vii and xiv for the Loeb Classical Library. The latter volume gathers Plutarch’s anti-Epicurean essays. De Lacy’s prose is notably clear, even when he was working on obscure problems in medicine and philosophy. As a teacher he was generous in class, but he carefully guarded his research time (Lateiner enrolled in his small Lucretius course at Cornell in 1966). De Lacy’s APA Presidential Lecture of 1967 entitled “The Search for Certainty” circulated privately (non vidi). It would be good to have it published, as David Armstrong noted to me, should someone possess and share a copy. Indicative of his high level of scholarship and philology are the Loeb Moralia VII, 1959, and especially the eagerly awaited Epicurean essays, Moralia XIV, 1967, an immense help to students of Epicureanism. Both were produced with the very particular and fussy Benedict Einarson’s full approval and full collaboration. (Cf. William Calder’s obituary of this even more reclusive scholar, Gnomon 1979). The Plutarchan F.H. Sandbach’s enthusiastic reviews of VII in CR 10 1960, 214-215, and of XIV, CR 18, 1968, 47-48 (“scholars may be advised to use the Loeb rather than the Teubner for these four works”) compensate for petty fuss suggested by lesser reviewers. “The two Loebs are not just translations but indispensable contributions to the text. Moralia XIV is therefore still very valuable to students of Epicureanism,” as Armstrong added. Galen’s de placitis is a great achievement, as John Scarborough’s review (Isis 71 1980 334-335) makes clear: “De Lacy's text of De placitis is now standard, completely superseding Muller and making the Kuhn edition superfluous. We await with relish the second volume, Books VI-IX, and a third volume, which will be a most valuable index and list of references. De Lacy has made one of Galen's core works accessible to those without Greek and, for those with Greek, has provided a superb text drawn from all the major manuscripts and scholia. For either of these achievements, De Lacy would have the widespread gratitude of scholars and students in the history of medicine and science, the history of philosophy, and Greek philology. For both the accurate text and succinct translation, one can offer fulsome congratulations, appreciation, and the ultimate honor of placing this edition on the list of necessary works for the understanding of Roman medicine.” cf. Scarborough in Sudhoffs Archiv 65.1981, “The Galenic question," 1-31, @ 30. Armstrong further observes that Phil’s articles tended to be short and to the point, and the best are still cited in the back of Companions to the Stoics or Epicureans to this day because they started a line of thought that pointed to topics that still have interest in the much more organized world of Hellenistic Philosophy studies that has evolved from the 1980s onwards (e.g., Long and Sedley, The Hellenistic Philosophers 1987). Phil’s publications pointed to valid, legitimate new topics more in the style of current scholarship. All of them have been gone beyond, sometimes FAR beyond, but they retain first-man-up-to-this-particular-plate rights even now. They’re also still fun to read because Phil was a determined enthusiast from the first of Epicurus, Lucretius, and Philodemus on a high intellectual plane. Vivian Nutton adds: “Phil loved walking on the shore at Barnegat Light, picking up wood for the stove, and was amused to find after a storm that the local fisherman had brought some of the best flotsam and put it by his door, a sure sign that they regarded him as one of their community, unlike the Philadelphia lawyers with weekend cottages – and from his time in Washington state he knew his timber. Daniel Harmon points out that Phillip's brother Allan C. De Lacy was a Professor of Fisheries at the U. of Washington for many years. Another brother, Hugh De Lacy, a well-known Seattle leftist, leader of the Washington Commonwealth Federation, and member of the Seattle City Council, served one term as a member of the US Congress (1944-46). He introduced Woody Guthrie and Pete Seeger to the term “hootenanny” when they were touring and singing at union pot-lucks in summer 1941 (Wikipedia and Stewart Hendrickson, http://pnwfolklore.org/hootenannies.html, consulted 16 May 2016. Phil, the embodiment of Epicurean ΑΤΑΡΑΞΙΑ wrote about it with Lucretian passion. He was humble in conversation, a shy colleague but always gentle, good humored, and gentle and friendly especially to the young. He supervised several dissertations, among them at Penn on subjects such as John Douglas Minyard’s "Metrical regularity of expression in the De Rerum Natura of Lucretius," 1970, Eva Maria Thury’s "Nature species ratioque: poetic image and philosophical perspective in the De rerum natura of Lucretius," 1976, Ellen O'Donnell’s, "The transferred use of theater terms as a feature of Plutarch's style," 1975, and Bonnie Arden Catto, "The concept of natura in the De rerum natura of Lucretius and the Georgics of Vergil: its characteristics, powers, and effects upon the earth, man and man's labor," 1981. A friend to many who welcome this SCS opportunity to recollect his fine spirit and many achievements of the scholar, former Editor of TAPhA, and APA President. Estelle Allen De Lacy was born 16 December 1911 and died 8 August 2009. She was graduated in Classics and Philosophy from the University of Washington (1931, ΦΒΚ). She completed a doctorate at the University of Chicago (1938) on “Meaning and Methodology in Hellenistic Philosophy.” She taught at Roosevelt University in Chicago, published Euclid and Geometry (1963), and with her husband Philodemus. On Methods of Inference (1941, 1978). The couple retired from the University of Pennsylvania to their summer cottage in Barnegat Light, New Jersey, and later to Oak Harbor, Washington, the state from which they came. Estelle was a warm and welcoming, insightful person. The De Lacys worked together on many philosophical and philological projects and were thoughtful hosts. Her extreme modesty deprived many acquaintances of awareness of her considerable learning and achievements. 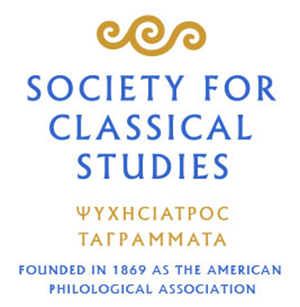 The De Lacys endowed a fund for fellowships in both the University of Washington Classics department and Philosophy department. Another substantial De Lacy bequest, part of which helped fund the De Lacy Classics Library Endowment, went to the Classics collection in the same university’s libraries. Donald Lateiner gratefully acknowledges the generous and enthusiastic assistance of Anthony and Jennifer Podlecki, Daniel Harmon, David Armstrong, Bonnie Catto, Georgia Machemer, Vivian Nutton, Ralph Rosen, and Robert Kaster. Sources: personal recollections of the author and his e-mail correspondents listed above; WhAm 40 (1978/9) 808; W.W. Briggs, Database of Classical Scholars (WWW), “Classical News from Denny Hall” (University of Washington Classics Newsletter) 41 (2006) and 44 (2012) [see also that department’s website]. The middle photo of Phillip De Lacy, dated 2 July 1976, was taken at the author’s wedding reception by Karen Smith (as was the photo of Estelle De Lacy); the photograph on the right was taken at William McDermott’s University of Pennsylvania retirement party, 21 April 1975, by Georgia Machemer Minyard.